Common prescription and over-the-counter medications called anticholinergics (anti-col-in-er-jik; hear it) have side effects that can worsen existing Alzheimer’s or dementia symptoms. This type of drug can even cause dementia-like symptoms in people without cognitive impairment. 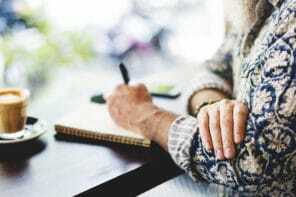 We explain why these medications cause symptoms of dementia, how they increase the risk of dementia, which medications are anticholinergics, typical side effects, and what to do if your older adult is currently taking these meds. Anticholinergics block a neurotransmitter (brain chemical) that’s used for learning, memory, and muscle functions. Think of neurotransmitters as messengers that carry instructions within the brain and from the brain to the rest of the body. Older adults already have fewer of these messengers because our bodies produce less of this neurotransmitter as we age. On top of that, blocking it with drugs makes it even harder for instructions to get delivered. If instructions aren’t getting delivered, the brain and body won’t be able to work normally. This causes dementia symptoms to worsen or even to start showing up in seniors without dementia. Seniors who don’t have Alzheimer’s or dementia still need to be careful of anticholinergic medications. That’s because these drugs can increase the risk of developing dementia in the future. A study of adults aged 65+ found that those who took an anticholinergic drug for three or more years (or in high doses for shorter time) had a 54% higher dementia risk. Seemingly harmless over-the-counter medications like antihistamines (like Benadryl) and sleep aids (like Tylenol PM) are also anticholinergics! We found a helpful list of medical conditions and the common anticholinergic medications that are used to treat them. 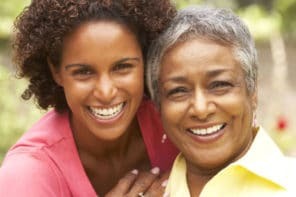 This list might not include every single condition or medication, but it helps you find out if any of your older adult’s medications are anticholinergics. Then, you can have an informed conversation with their doctor about the risk versus the benefits of that medication. In addition to blocking neurotransmitters (aka messengers), anticholinergic drugs also have side effects. 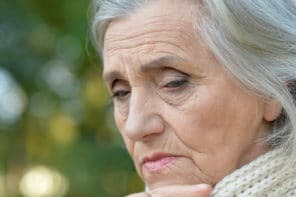 These side effects can make existing dementia symptoms worse or make someone without cognitive issues seem like they have Alzheimer’s or dementia. DO NOT start, stop, or change dosage for any medications without talking with your senior’s doctor. Discuss medication concerns with the doctor as soon as possible. It’s important for a doctor to review all the anticholinergics that are being taken. Because many seniors have multiple health conditions, they may be taking more than one type of anticholinergic medication. That’s where the high doses can come from – they add up across different medications. If different drugs are being prescribed by different doctors, ask their primary physician to review the full medication list. This could also be a good time to weed out drugs that are no longer needed.